One of the most proactive marine conservation body is offering to help patrol and protect Australia's new Coral Sea marine reserve. The Sea Shepherd Conservation Society (SSCS) says it can contribute expert know-how, ships and resources to help preserve the world's largest marine reserve. The Australian Government announced just last week that it is establishing the reserve to combat the dangers faced by the precious marine ecosystems. 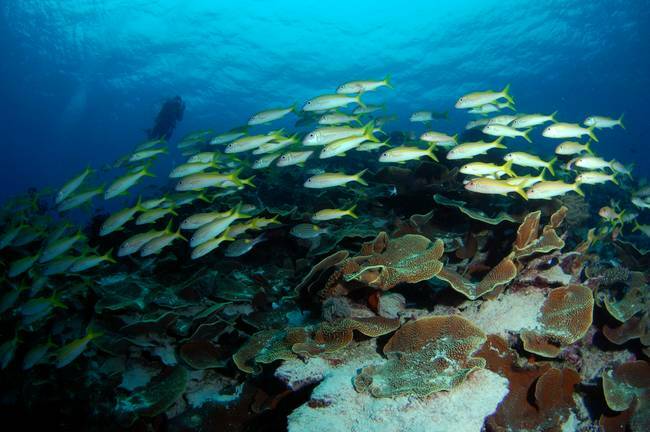 Conservation groups believe that enforcement is vital to prevent poaching, overfishing and other illegal acts that will damage the new Coral Sea marine sanctuary. The Coral Sea Region covers an area of more than half the size of Queensland and includes green turtle nesting sites, as well as various species of shark and big predatory fish. Former MP Peter Lindsay said the Great Barrier Reef Marine Park Authority should take charge of monitoring, but would need help. "There's no point in having a marine park unless you can patrol it and police it. "They would have to receive adequate funding, they can't do it in their existing budget. Even if it does take another $10 million, it's money well spent." In response, Sea Shepherd has pledged to help protect the waters from foreign fishing vessels operating illegally at Coral Sea, which means Australian taxpayers would pay nothing. SSCS says it would also let members of the Great Barrier Reef Marine Park Authority, or other appropriate Australian authorities, use vessels and go onboard during patrols. It will work with the various Australian authorities to create strategies that will lead to prosecution of illegal fishing activities. Sea Shepherd has a strong track record of defending and preserving marine ecosystems and animals worldwide and is enjoys strong support in Australia. Its action in the Galapagos Islands, Ecuador, is a perfect example of how Sea Shepherd can help a government protect its shark population and marine ecosystems. SSCS has spent more than $4 million dollars to buy a patrol boat, install vessel identification systems, carry out training, and bring in a team of fin-sniffing patrol dogs. It actions have been praised by the government, Navy, and Marine Reserve officials. Founder, Captain Paul Watson, says, "Sea Shepherd is prepared to work with any government or local agency to protect their waters." The group has in-depth resources and experience including worldwide awareness and support, media relations and vessel identification systems. The Sea Shepherd Conservation Society was set-up in 1977. The international non-profit conservation organisation aims end the destruction of habitat and slaughter of wildlife in the world's oceans by conserving and protecting ecosystems and species. SSCS is renowned for using direct-action tactics, where necessary, to expose and confront illegal marine activities on the high seas.